(14 March 2018, Hong Kong) The West Kowloon Cultural District Authority (WKCDA) today announced the winning design in the inaugural Hong Kong Young Architects and Designers Competition: Growing Up by New Office Works. 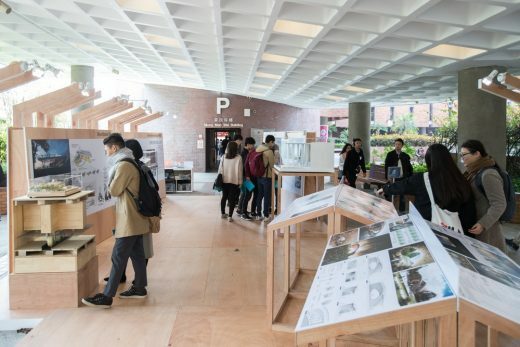 This new architecture competition provides a unique opportunity for emerging architects and designers to be inspired by the character of the West Kowloon Cultural District (West Kowloon) and showcase their creativity and potential by producing an iconic pavilion. 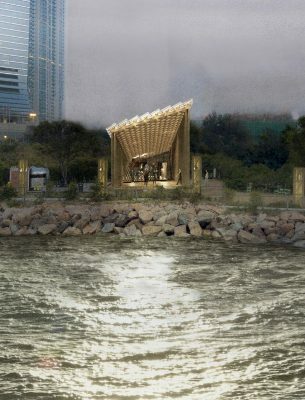 The pavilion will be built on a waterfront location in the Nursery Park at West Kowloon that offers stunning harbour and sunset views. 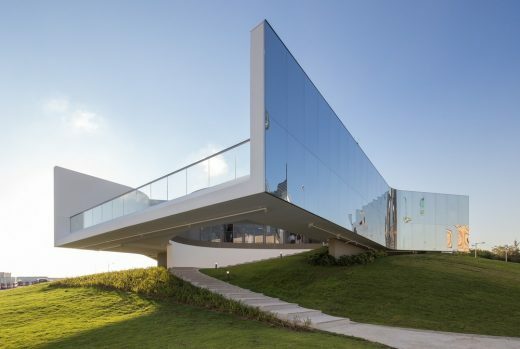 The pavilion will become a spectacular location for small events and activities. 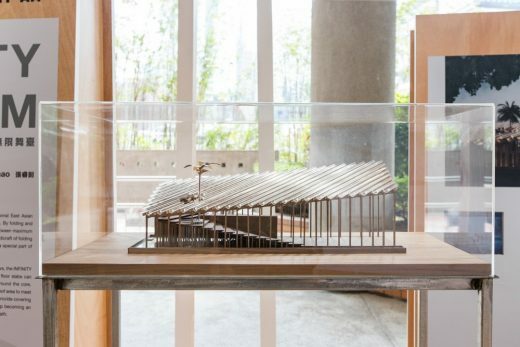 Architects of the winning design team, Paul Tse Yi-pong and Evelyn Ting Hueichung, will work as Design Advisors to realise their design with the support of the Authority. The pavilion is planned to open in autumn 2018 for enjoyment of the public for a period of approximately 6 months. 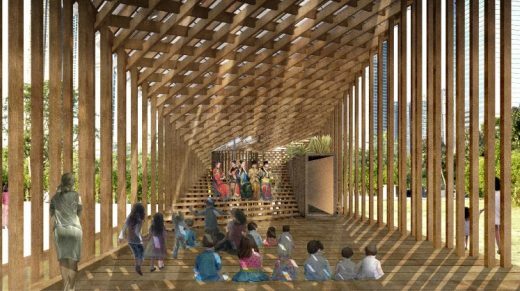 The competition asked local architects and designers in the early stages of their careers to think about designing a Temporary Pavilion that promotes sustainability and address economic and natural resources. The selected design is required to offer an inviting and dynamic public space that complements the surrounding landscape and waterfront and enhances visitor experience. In October 2017, a shortlist of three design – Growing Up by New Office Works, Infinity Platform by Zhang Ruizhao, and SkyCamp by EXP+ – were selected from 320 entries and took forward for further development with the support of the Authority before selection of an overall winning design. “We were absolutely delighted by the overwhelming response of local young architects and designers to this competition. The quality of the teams on the longlist shows there is huge potential among our young talent. It is our pleasure to nurture them and help them realise their dreams on an international stage,” said Mr Duncan Pescod, Chief Executive Officer of WKCDA. The Authority aims to establish this as a biennial design competition that will act as a global platform for emerging Hong Kong talent. The winning design was picked by a jury including 10 leading architects and professionals from Hong Kong and abroad: Mr Aric Chen, Lead Curator of Design and Architecture, M+; Mr Marvin Chen, President of the Hong Kong Institute of Architects; Prof Nelson Chen, Director of School of Architecture at the Chinese University of Hong Kong; Mr James Corner, Founder and Director of James Corner Field Operations (New York); Mr Sou Fujimoto of Sou Fujimoto Architects (Tokyo); Mr Thomas Heatherwick, Founder of Heatherwick Studio (London); Mr Victor Lo, M+ Board Chairman; Prof Nasrine Seraji, Head of Department of Architecture, the University of Hong Kong; Mr Chris van Duijn, Partner-in-charge of OMA Asia (Hong Kong) Ltd; and Ms Marisa Yiu, Co-founder and Executive Director of Design Trust in Hong Kong.